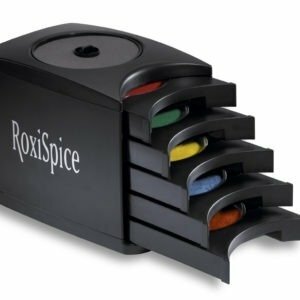 The PERFECT STORM embodies everything that’s great about RoxiSpice… Maximum Visual Impact, Maximum Value, and Maximum Entertainment & Energy. Beware Bottom Line Results Ahead! The Drinkware Rim System features the Tower, our vertically stacked, five (5) drawer Spice delivery and storage. 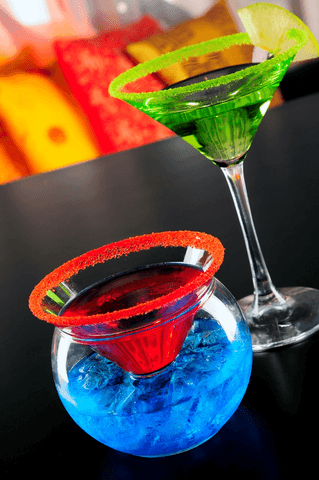 Improved efficiency from serving to space bar tenders are about to craft the perfect drinkware presentations. 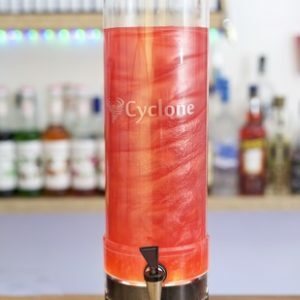 The Cyclone7’s & Rein are how your bar and beverage look. Four Cyclones with super-bright lights, brilliant colors, and spinning vortex draw maximum attention to your bar with unparalleled effectiveness. 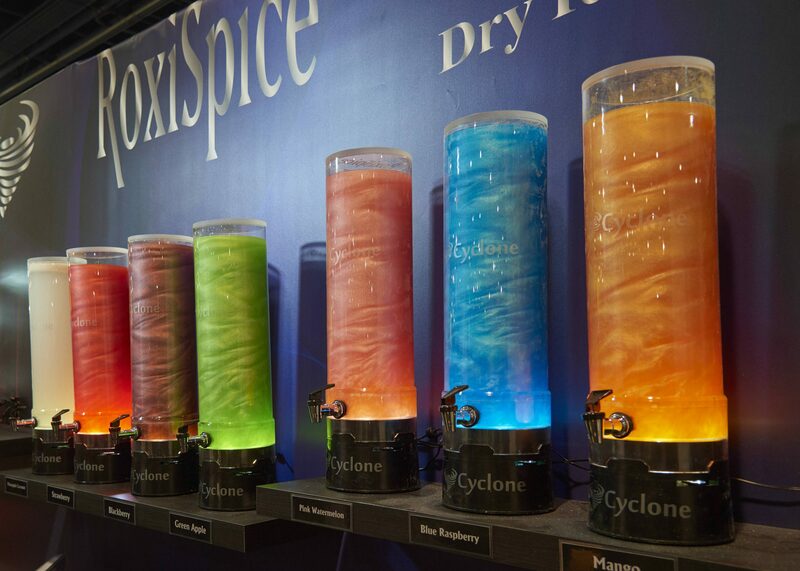 The Cyclones fill the largest rooms with lights, color and action! These are the most sophisticated magnetically driven beverage mixing, dispensing, and storage devices. 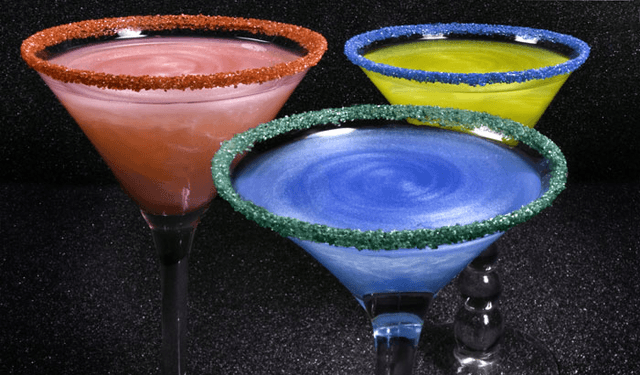 They deliver the most powerful beverage presentation ever. Small foot print, simple to install, use, refill, and clean. 7 Liter Capacity. 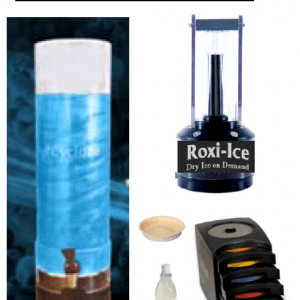 Roxi-Ice Dry Ice on Demand (Dual Probe*) transforms beverage into energy. 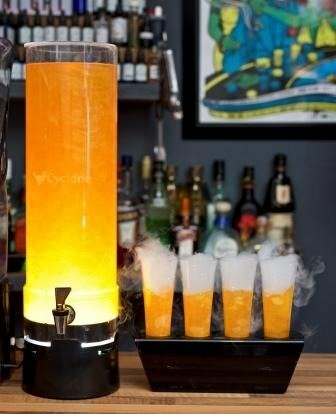 More than theater where Dry Ice envelops your drink in a cloud of mystery and perfection, it’s below freezing temperature safely super-cools your drink without diluting your creation. 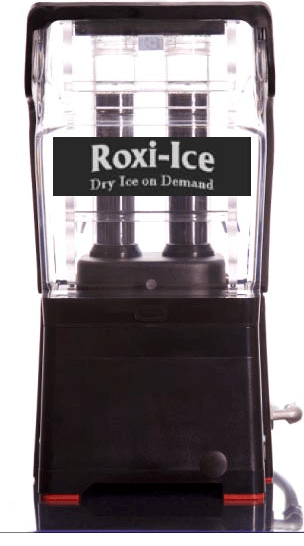 Roxi-Ice Dry Ice on Demand transmits energy and enthusiasm into your crowd. * Dual Probe is perfect to high volume venues. 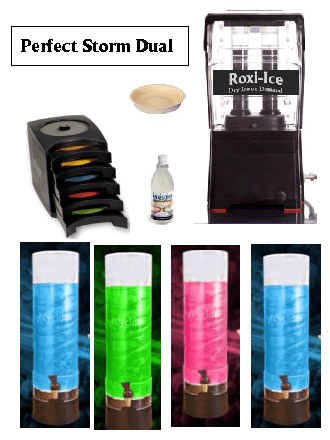 2 automated Dry Ice charges/serving per 10-15 seconds.